Watch this video in which I discuss a Twitter follower acquisition campaign I ran for Tourism Ireland Spain. The purpose of the campaign was to grow the number of Twitter followers for Tourism Ireland’s Spanish Twitter account. In the video, I discuss how the campaign was managed and evaluate the results. This video was used by Tourism Ireland as part of their in-house Digital Marketing Training programme, which was delivered to 150 staff worldwide. 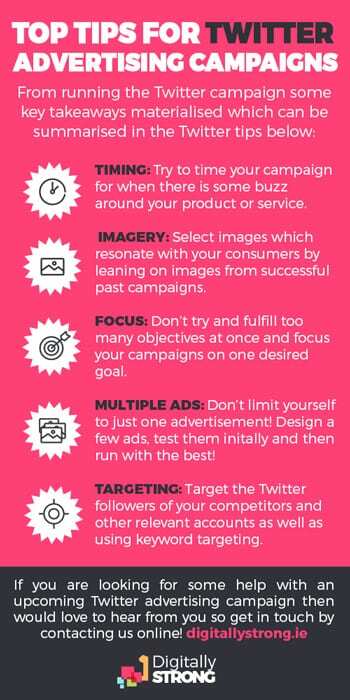 From running the Twitter campaign some key takeaways materialised which can be summarised in the Twitter tips below. Timing: Consider the timing of your campaign. If there is a buzz around your product or service, this is the perfect time to use advertising to ensure that your company is front of mind! Imagery: When designing your advertisement, select images which resonate with your consumers by considering images that have worked well in past advertisements or in social media posts. Focus: Don’t try and fulfill too many objectives at once! If your objective is to grow Twitter followers, don’t include a link to your website in the advertisement. You might get website clicks but it will result in less followers as you are giving consumers distinct options rather than channeling them towards your desired result. Multiple Ads: Don’t limit yourself to just one advertisement! Design several advertisements and launch them all. Then once a suitable period of time has elapsed, evaluate the results to see which advertisement works the best. Once you see which advertisement delivers the best results, retire the others and focus your budget on this advertisement. Targeting: Target the Twitter followers of your competitors and other relevant accounts. For example, if you’re a travel & tourism company, consider targeting followers of National Geographic magazine. Use target keywords to capture consumers who are already talking about your product or service. Imagery reign supreme on Twitter. Make sure your images are compelling! Remember that the estimated cost per followers are just that – an estimate! Until you run your campaign, it is impossible to know exactly how much each follower will cost you. Furthermore, the cost of a follower can vary depending on the time of year. In my experience, follower acquisition campaigns in the tourism sector tend to cost less in the second half of the year. I conjecture that in the latter half of the year, there are less advertisers competing for consumer’s attention so campaign performance improves. If the campaign is running for a significant amount of time, consider refreshing your advertisements during the campaign to keep the messaging fresh. 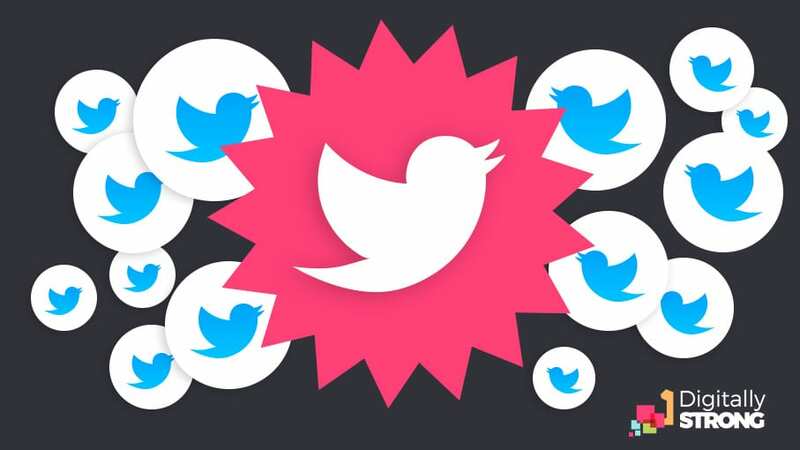 If you are looking for some help with an upcoming Twitter advertising campaign, we would love to hear from you so get in touch here! Digital & Tourism Consultant @ Digitally Strong. I hold a Masters in Digital Marketing and have more than 9 years experience developing digital strategies and executing leading brand, advertising and digital campaigns.